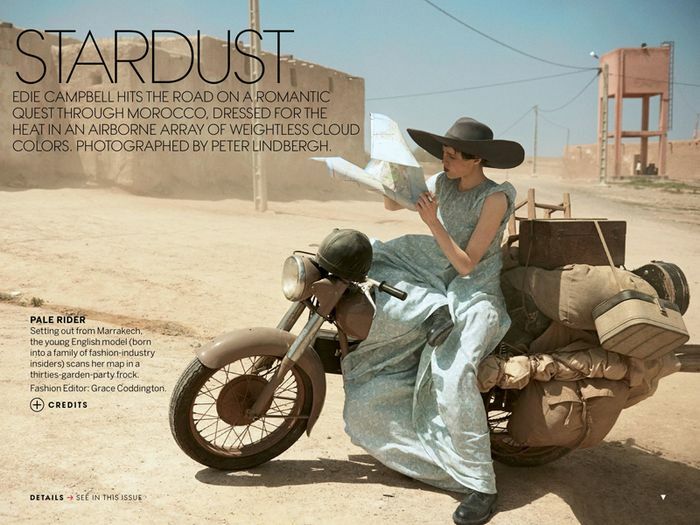 Edie Campbell posing in Morocco for US Vogue in June 2013 shot by Peter Lindberg in the editorial Stardust is one of my favorites. 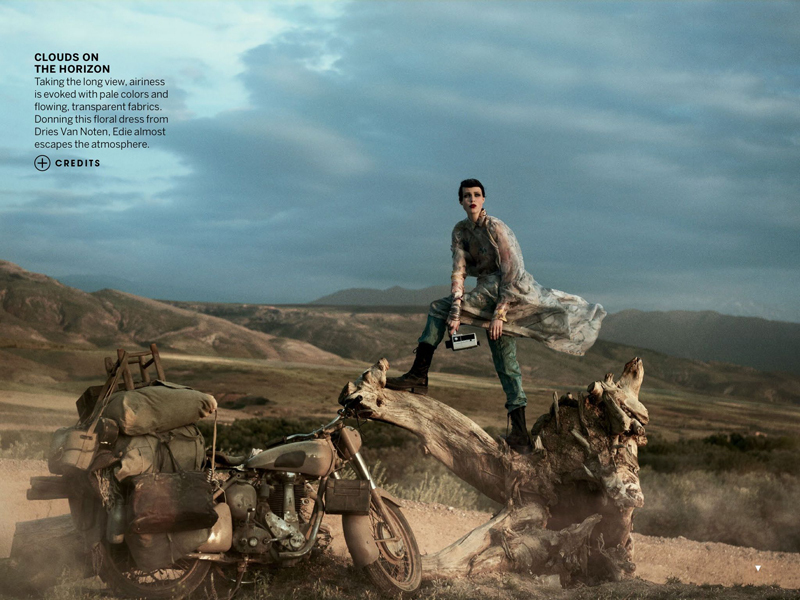 I remember turning through Vogue’s glossy pages when the editorial was published two years ago. 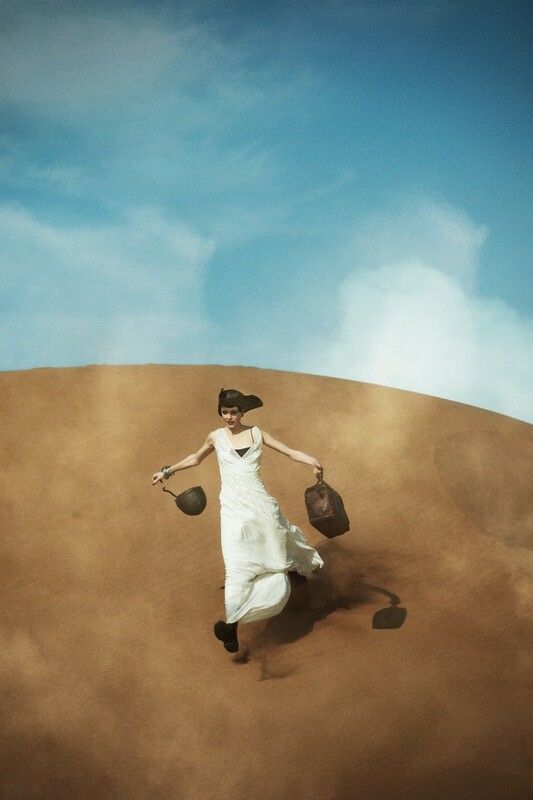 The photos transported me. I could imagine the sounds in the bustling market, feel the dusty breeze’s caress, and smell Moroccan food sizzling on the open skillet, scents of cous cous and spices wafting through the air. 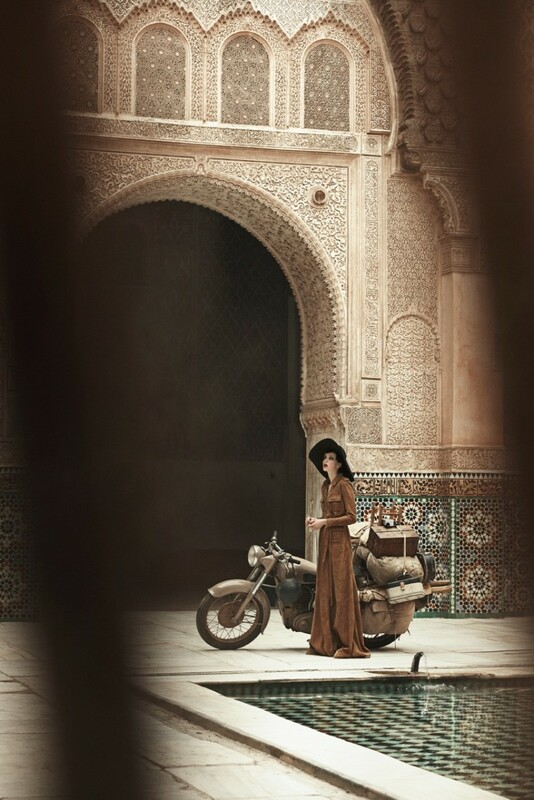 The muted palette, vintage motorcycle, tents, suitcases, long flowing fabrics, and the excitement of traveling with a loving companion to a foreign destination put all my dreams into images. 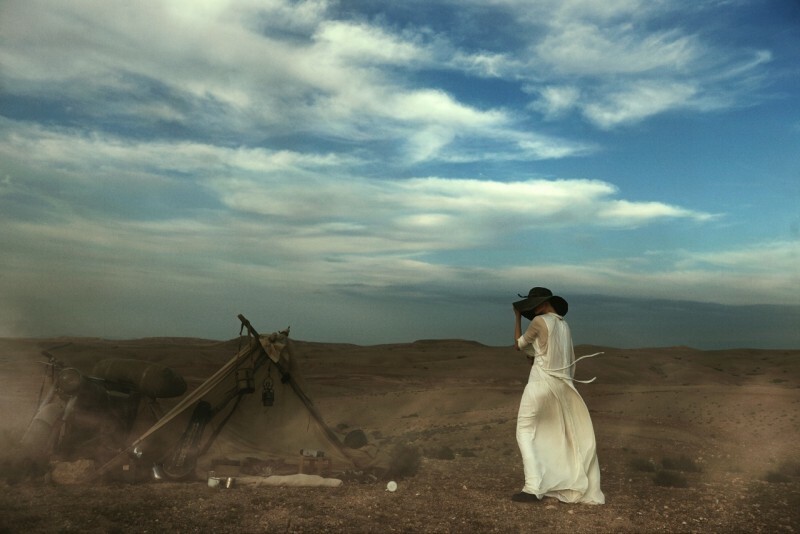 I must have idealistically imagined my trip to Morocco like this. These images still do the same for me now as they did then, making me keen to go on another adventure. So here is a little escape for your Monday blues, and a reminder to dream. I hope everyone had a wonderful weekend!